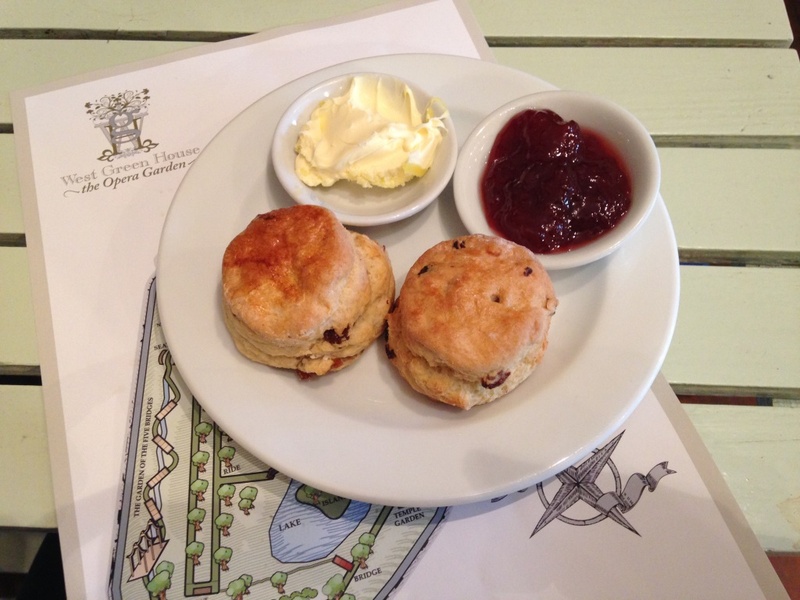 A blog dedicated to finding the best scones at National Trust properties around the UK. If you're ever bored out of your mind and want to entertain yourself, you could do worse than read the TripAdvisor reviews of National Trust properties. You'll notice that most places have something like 373 Excellent reviews, 307 Very Good reviews and then 3 Terrible reviews. And you find yourself worrying about the 3 people that wrote those Terrible reviews, because they did so knowing that 99.6% of the population completely disagreed with them. Anyway, I think West Green House Garden has one of my favourite TripAdvisor reviews of all time: a man complaining that the walls between the toilet cubicles were too thin. I felt compelled to investigate this atrocity, so off we went. 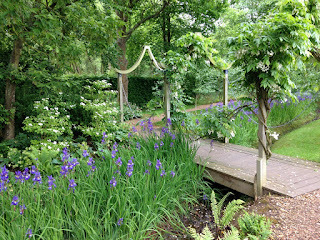 My expectations of West Green House Garden were low, and not just because of the toilets. 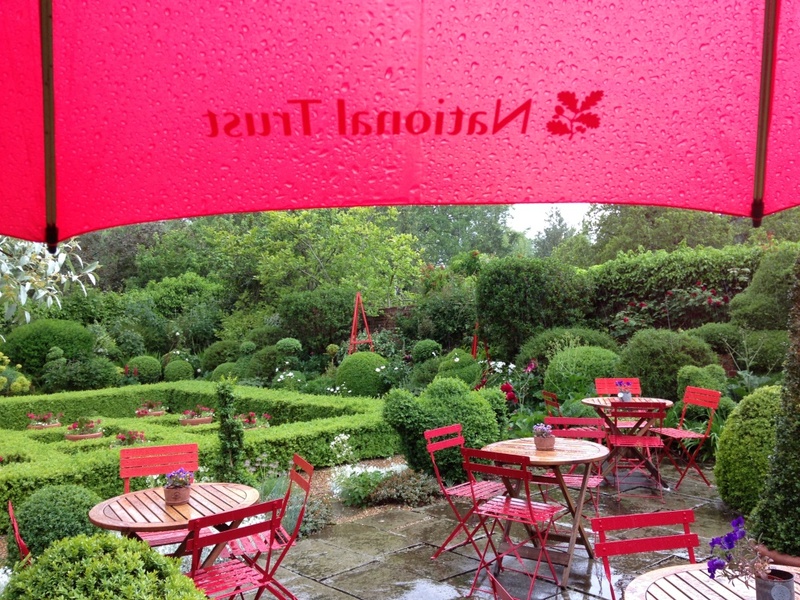 It wasn't the ideal weather for visiting a garden. I've mentioned previously that gardening is not really my thing - I actually avoid National Trust gardens for fear that one day they'll make me think "you know, I could do this in our garden" and so would begin twenty years of failure and misery. 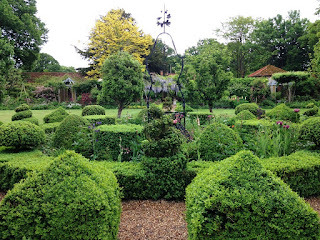 I'd also been to Speke Hall the day before and had one of the greatest National Trust scones of all time, so poor old West Green House Garden had little-to-no chance of measuring up. But I was WRONG. 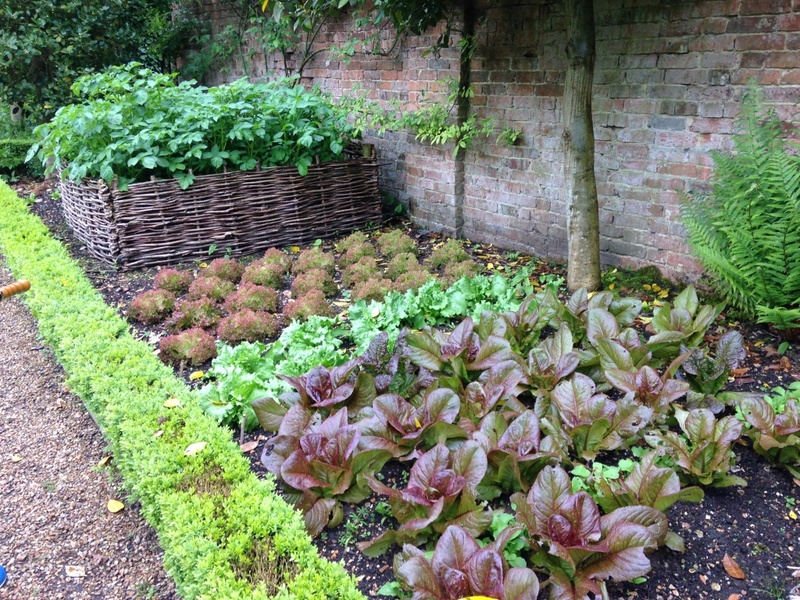 West Green House Garden is FANTASTIC. 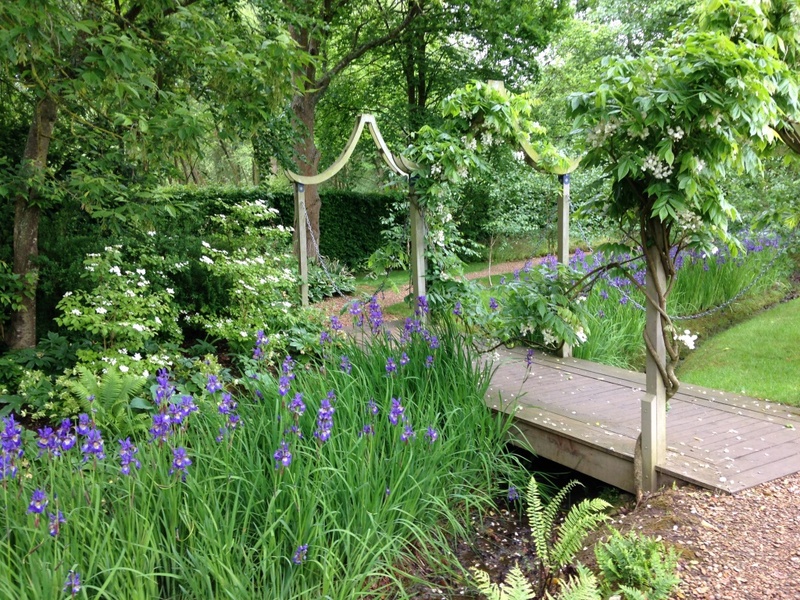 If I could choose any garden in the world as my own, I'd choose West Green House Garden any day. 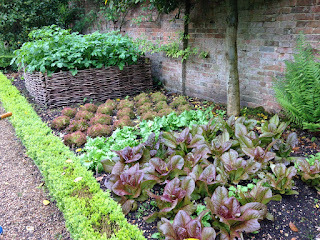 I better start with a bit of history: West Green House Garden doesn't feel like a National Trust property because, in many ways, it isn't. It has been leased by the Trust to Marylyn Abbott, an acclaimed garden designer who was previously marketing and tourism manager for the Sydney Opera House, and she runs the place. The actual house was built in the 18th century by General Henry Hawley, a not-very-nice man who led the cavalry at the Battle of Culloden. It was left to the National Trust in 1971 and Lord McAlpine took on the lease, restoring the gardens and adding follies and features. The house was damaged by an IRA bomb in 1990 and it was almost pulled down by the Trust. However, they decided to lease it to someone that could restore it once again and Marylyn took it on. It's also famous for its opera season - every summer, there are performances of operas by the lake. It must be quite an experience. It's a perfectly sized garden. It takes about 10 minutes to power-walk around it, or a lot longer if you were admiring flowers that you knew the names of. If you have to look after it, then it's probably about 9.5 acres too big. There's a bit of garden for every mood. If something had got on your nerves - say the toilet cubicle walls weren't to your exacting standards - and you wanted to sit and listen to a calming water feature, you can do it. 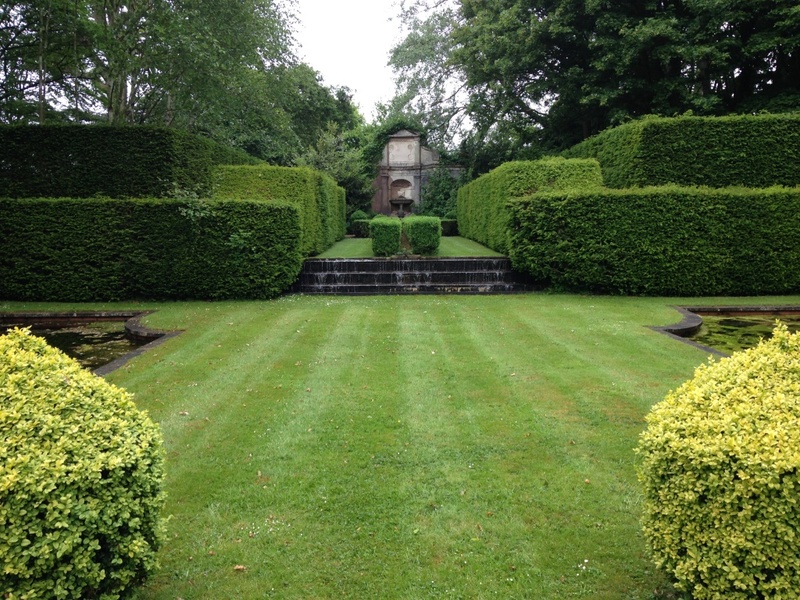 If you wanted to admire a perfectly kept parterre, you can do it. If you wanted to watch potatoes growing, you can do that too. I felt very safe at WGHG, because there's no way in a hundred million years that I could even attempt to achieve something like it. What's even more amazing is that there are only FOUR gardeners maintaining the whole area. It's incredible. I also loved the tearoom at West Green House Garden. It has a relaxed, modern atmosphere - probably helped by the opera music playing in the background. The scones were the dinkiest little things I've ever seen, but you got two and a cup of tea for £3.75, so I wasn't complaining. They weren't fresh but they were very nice indeed. Of course, you've all been reading this thinking "never mind the scones and the gardens, Scone Blogger, exactly how thin were the toilet cubicle walls?" I sent the Scone Sidekick in to investigate, almost hoping he would return with tales of old compost bags or a bead curtain. He wasn't very forthcoming; "They were toilet cubicles." I don't think we can expect a Toilets of the National Trust blog any time soon. The Best National Trust Scones! 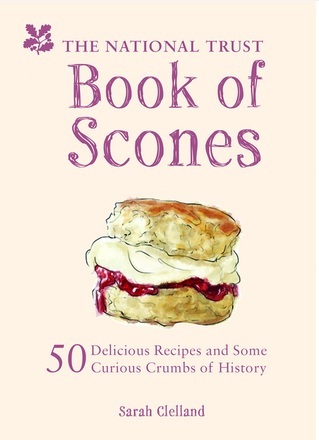 The National Trust Book of Scones is now available! 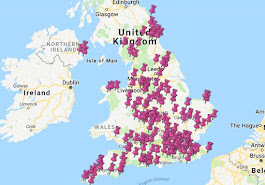 50 scone recipes and some snippets from this very blog. You can find it in most NT shops, the NT website or on Amazon. In February 2013, two things happened: I turned 39 and I joined the National Trust. Other people in my position would have thought “I’ll hit 40 this time next year, I’m off on a hedonistic rampage” and gone to Ibiza for 12 months. Not me. I handed myself in to middle age a year early. It’s for the best: I’m not making a fool of myself in clubs and we have a nice sticker on our car windscreen.